Home→Fun Stuff→Attractions & Tours→Florida→The Prez Meets Mickey! 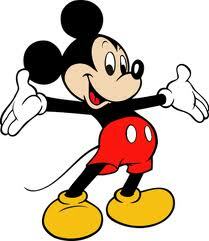 Tomorrow it’s good-bye Port St. Lucie and hello Mickey! And guess who else is headed to Fantasy Land – President Obama! I’m not sure if Disney World can handle our arrival and the President’s all in the same day! We’ll be checking in at Fort Wilderness campground while he’ll be making a speech about boosting the economy by promoting tourism with Cinderella’s Castle in Magic Kingdom as his backdrop. According to the local news, Air Force One will land at the Orlando airport around 11:40 a.m. and he’ll go directly to Disney, then he’ll leave several hours later. Disney has already cancelled certain regular events and has warned guests that they can expect high security measures. Check in time at Fort Wilderness is 1:00 p.m. which might be in the midst of all the hoopla so we will have to plan our arrival around the President’s schedule or we may end up in the motorcade! I hope I don’t see y’all on Brian Williams getting hauled off in handcuffs. Have fun.